This week we updated the game Release 154 to add new features to the compass and break improve the Warps. We have also fixed a wide range of bugs in the grapple hook. The general balance of the Grapple (and all Equipment) will continue to change up to 1.0. All the different material variations of each tool and weapon will offer different balanced values. More details can be found here. Update grapple hook control / balance. New Hopper animations (including explosion on death). 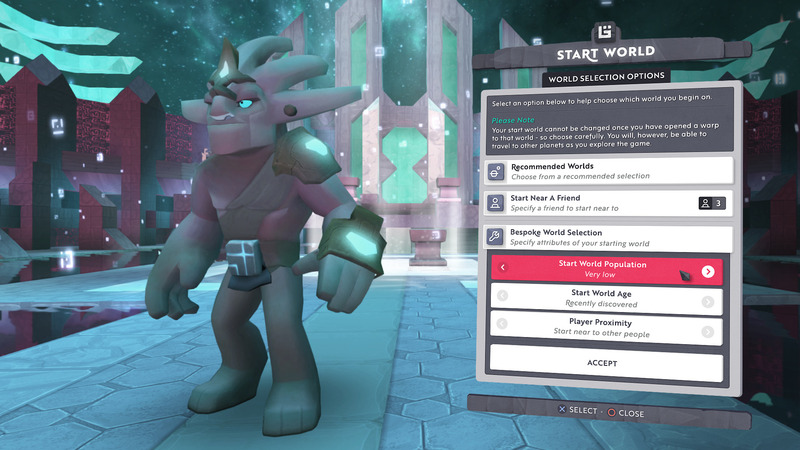 Bigger updates we are targeting for this month are the Portal creation and the foundation of a RPG system to allow us to build up and enhance our Player Stats and Player Progression. We’ve done some tweaks on the Grapple hook to improve the prediction and placements in the world. More updates are still todo. We are working on a generic Stats System that will allow multiple modifiers to be applied to the Player, Items, Equipment and Creatures. This will be used with the Creature for the Elemental and Exotic enhancements, for levelling up Players, forging Tools and Weapons, and crafting temporary buffs. The portal work continues. It’s non-trivial because the player needs to define both source and target locations which are likely to be on different worlds, and the servers need to be synchronised with their creation, fuel costs, and expiration. The HUD Compass polish up showing more information about your Beacons and Named World Regions. We continue to optimise the GUI and HUD update and rendering to not slow down the game as much, especially on devices with slower CPUs including the PS4 where it’s very noticeable. To enable the art team we have been doing some work on the Special Materials for advanced blocks, items and equipment variations (for example an Oort Slingbow). We are also working on the Maya exporter pipeline to allow simpler model exports. On the servers we’ve been addressing more issues with the database back end and continue the bot testing work. @luke-turbulenz has been continuing to work on the Objectives, and the rewards they can give. He’s also been working with Andy on the stats system, and tweaking some things in the forum setup. @olliepurkiss has managed to break out of Hansoft, and has done some polish and balancing work on the grapple. He’s also been supporting the work on the stats system, and helping out with the creature polish. This week we’ve been doing planning and working across many of areas of the game. We’ve experiment with creating some natural prefabs for the 1.0 biomes. @Minyi has concepted the Large and Small worms the bigger stages of the Block Parasite. She’s now moving onto interior decorative props. We’ll share with you soon. @jesshyland has been working on creating the dynamic special materials. There’s still a bit more work to do before we can reveal these. @gerryjacobs has provided animation support for Fooks who’s integrated the Hopper rolling around and jumping to it’s feet. 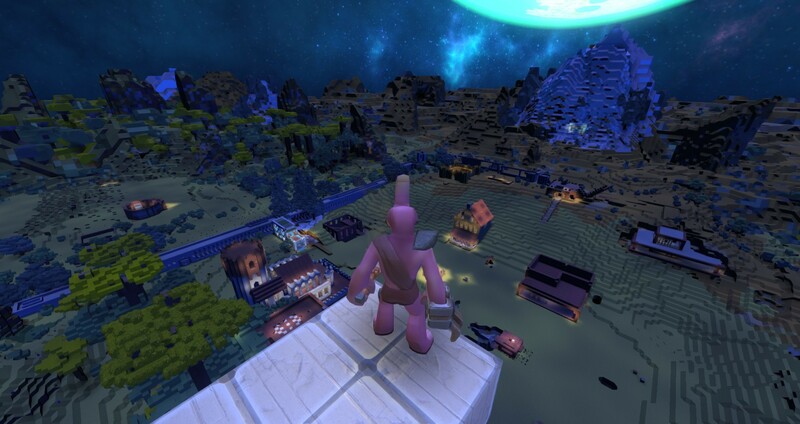 We’ve also released better night time lighting. All gleam and lights will look more atmospheric at night… guaranteed! And all the other stuff sounds great too. Wow, this is awesome guys! I think this devlog really hit the nail on what the community wanted to see in terms of upcoming content. Love it, brilliant update and love what’s next on the table. YESSSSSSSSSSSSSSSSSSSSSSSSSSS!!! The thing I have been waiting the most for, the actual player progression aspect of the game!!! Yay a PS4 screenshot. Based on progress and what Im reading would it be right to assume this game will be coming out closer to the tail end of 2017 than the Summer? I mean sure no one ever SAID Summer but I was hoping wed get lucky though based on current progress that possibility seems 100% unlikely now. Also you mentioned devices with slower CPUs like PS4. Will you also be optimizing the game to fully utilize all the things the PS4 Pro brings to the table that the standard PS4 doesnt? I mean may as well shoot for making the game run as best as physically possible on BOTH devices even if the second device it only a slight edge, every little bit counts right? Lastly I dunno if this was ever asked but wil thsi game be cross play between PS and PC or will PS4 and PC play on separate servers? Yes, it will crossplay. People on PS4 will be able to play with those on PC, and vice versa. At least, this is the stated, planned intent. This week we updated the game Release 154 to add new features to the compass and break improve the Warps. Where “here”? There the update description has no one word about materials of the tools and weapons. Or maybe I leaved my eyes home. The lighting update looks great! I must say though… I’m not so sure of the tailed font being used in the GUI.